Which service are you most likely to complain about? Traditionally we’re not a nation of complainers. We may have the odd whinge but we don’t always make an official complaint. 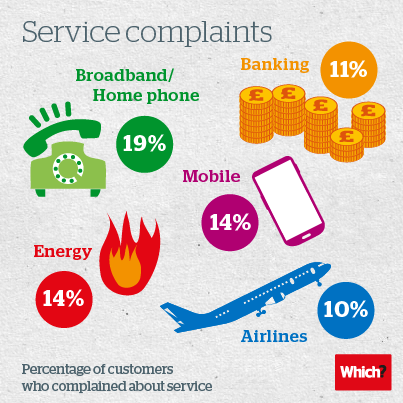 In fact, only two fifths of Brits made a complaint about a service provider in the last year. And you may not be surprised to hear that the most complained about sectors were broadband, mobile phone and energy. According to our survey of 2,000 Brits, nearly one in five broadband and landline customers felt compelled to complain about their service last year, while one in ten mobile phone and energy customers made a complaint. This list of the worst sectors for complaints certainly rings true with my own experiences. Moving house a couple of years ago my phone provider just started billing me for a new line – as well as the old one in the property I’d left. 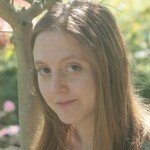 And when it comes to energy supplies – well – I’ve had the meter man read the wrong house or flat twice, not to mention overgenerous estimated readings. My problems are just a drop in the ocean compared to the liturgy of complaints we’ve heard from you. You just have to read through the 70 or so comments on this Conversation about broadband and phone companies to know there’s a lot to complain about. 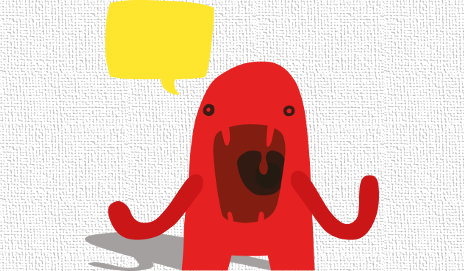 Plus, our research found that 40% of complaints are left unresolved! So why are service providers failing to resolve so many of our complaints? Well, the top reason given was that the problem was ‘outside of the service provider’s control’ (26%). Some providers blamed other companies as being responsible (15%), or said it wasn’t possible to fix the problem (15%) or even that they had done what they’d promised to (13%). Not only is it very frustrating to get poor service, it’s even more annoying when your complaint isn’t resolved or is passed from department to department. Surely, if they want to succeed, companies need to start treating their customers properly and provide the best service possible? Have you had to make a complaint about a service provider? Was your complaint resolved satisfactorily? Anything that I think warrents it, EE at the moment. Complained about broad band service Virgin – excellent fast response – resolved in 24 hours – still with virgin. Complained about water board – no response – but can’t change service – better when it was nationalised. My latest complaint is with Monarch Airlines for a flight delay. They deny responsibility, saying the delay was due to a technical fault which they wrongly claim is an extraordinary circumstance. I took my complaint to the small claims court. The case is on-going. Complained about Orange price increases mid contract (the first one) – awaiting court dates as Debt collectors “won’t get involved” in the dispute. Conplaint about delays in my ofsted clearance due to gender – apology, met the inspector, situation explained and the person causing the delay (hiding my file) disciplined. Virgin Media trying to give me 2 accounts – resolved when I offered to sell their equipment to pay their bill that I didn’t owe. Curtesy car scuffed by the collection guy with witnesses (£400 claimed in court papers) – won as there were witnesses. Currently have 2 complaints about my insurance claim going through. Expecting to kick this to FOS to get a satisfactory result. TalkTalk gave us an answerphone on the line but this took the calls after 5 rings. This meant we often had to ring the answerphone to get the message and ring the caller back so what should not have cost anything – to accept a call – cost us twice to speak to the caller. When I called TalkTalk, I got the sales pitch for their TV service – which took 10 minutes – and I refused.